December 26, 2012 (San Diego) – More than a million people have viewed Norwegian Havard Rugland’s YouTube video showing off his amazing kicking skills, says kicking coach Michael Husted, a former NFL kicker working wtih Rugland in San Diego. It’s also earned him the attention of NFL coaches and a workout with the New York Jets—even though he’s never played in a football game before. View Havard Rugland's "Kickalicious" YouTube video here, in which he kicks footballs not only through goalposts on fields, but also into the waiting arms of a colleague in a moving car, on a skateboard, and atop a hill. Husted, who has been training Rugland in recent weeks, is not surprised that the video has generated plenty of ‘buzz’ in both the media and the NFL. December 26, 2012 (Lemon Grove) – On Christmas night at 7:12 pm., a La Mesa woman was driving south in the 1600 block of Glencoe Drive in Lemon Grove with her 10-year-old son. As she passed a white two-door coupe, she heard a loud pop, followed by her passenger side window shattering. Fearing for the safety of her son and herself, she continued driving until she located a San Diego Police officer in the city of San Diego. Deputies from the San Diego Sheriff Department were then contacted and sent to the scene. December 25, 2012 (Spring Valley)--A woman working on her computer looked out her window to see smoke pouring out a window of her neighbor’s home across the street yesterday afternoon. She sought help of another neighbor and tried to alert the couple inside unit 206 at the Sweetwater Lodge Mobile Home Park, 10707 Jamacha Road, but there was no response. The neighbors opened a front door and were slammed by a huge wall of hot smoke. They called 911 and within minutes after the 12:18 pm call, firefighters from San Miguel Fire District were on scene. December 25, 2012 (San Diego’s East County) – A wind advisory has been issued by the National Weather Service for mountains and deserts in East County from 6 a.m. to 6 p.m. Wednesday, December 26. Gusts up to 50 mph may occur near ridge tops. Winds may make driving difficult, also producing blowing sand in desert areas. A hazardous weather outlook has also been issued for southwestern California. Wednesday through Monday, a cold low-pressure system will bring light to moderate rain, with snow down to 4500 feet in mountain areas, along with strong winds. Frost is possible in valleys and upper deserts Wednesday and Thursday nights. Along coastal areas, a winds may create hazardous conditions for small crafts. December 27, 2012 (San Diego)--Lawyers Club of San Diego presented grants totaling $16,000 to three local nonprofit organizations and awarded three law student scholarships at its annual holiday luncheon December 13, 2012. Lawyers Club, through its Fund for Justice, awarded grants to Voices for Children in support of its Infant and Toddler program, to Casa Cornelia Law Center in support of its programs helping provide pro bono legal services to indigent immigrants in the San Diego community, and to the San Diego Volunteer Lawyer Program in support of its domestic violence clinic and the annual Women’s Resource Fair. 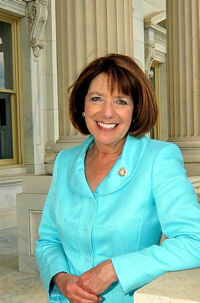 December 27, 2012 (San Diego) – Congresswoman Susan Davis moved to put the finishing touches on the new federal courthouse downtown when her bill to name the building passed the House of Representatives. After extensive input from the San Diego legal community, Congresswoman Susan Davis (D-San Diego) introduced legislation to have Judges James M. Carter and Judith N. Keep on San Diego’s new federal courthouse. December 26, 2012 (San Diego) –The Metropolitan Transit System (MTS) will expand Trolley service on December 27 to accommodate the increased ridership to the Port of San Diego Big Bay Balloon Parade and Bridgepoint Education Holiday Bowl game at Qualcomm Stadium. Even with the extra service, fans will need to begin their trip to these special events extra-early given the huge crowds going to the Parade in the morning and the game in the afternoon. The benefits of making a major commitment to building up and efficiently managing a larger and more comprehensive public transit network are many. December 24, 2012 (San Diego)--The San Diego Public Library's 47th Annual Local Authors Exhibit : The Library is going to display it in the exhibit, which will run the entire month of February 2013 in the lobby of the Central Library downtown. December 24, 2012 (Colorado Springs)--For over 50 years, NORAD and its predecessor, the North American Aerospace Defense Command (NORAD) and its predecessor, Continental Air Defense Command (CONAD) have tracked Santa's flight. You and your children can log on at www.noradsanta.com for live updates on Santa's trip around the world, including videos and Christmas activities for young and the young at heart. The tradition began in 1955 after a Colorado Springs-based Sears Roebuck & Co. ad misprinted the phone number for children to call Santa. Instead of reaching Santa, kids reached to the CONAD Commander-in-Chief's operations "hotline." The Director of Operations, Colonel Harry Shoup, had his staff check radar for indications of Santa's flight south from the North Pole. Children who called were given location updates, and a tradition was born. December 23, 2012 (Rancho San Diego) – From 8 p.m. last night until 2 a.m. this morning, deputies and officers from the San Diego County Avoid 15 Task Force conducted a DUI sobriety and driver license checkpoint near the 2800 block of Jamacha Road in the uninincorporated area of El Cajon. A total of 34 vehicles were sent into secondary screening and 10 field sobriety tests were conducted on drivers. Two DUI arrests were made along with three felony arrest for possession of a controlled substance, and eight citations. In addition, four vehicles were impounded at the checkpoint--one because the driver's license was suspended or revoked and three because the drivers were arrested. December 22, 2012 (San Diego) – An art exhibition and reception hosted by Gerry and Claire Tietje will be held at Mission Trails Regional Park Visitor Center at 1 Fr. Junipero Serra Dr., from 1 – 4 p.m. on December 23. “Kamera and Kiln” is a joint art exhibition hosted by award winning artists Gerry and Claire Tietje. December 22, 2012 (Washington D.C.) – Newly elected Congressman Juan Vargas (D-San Diego) has been assigned to serve on the Foreign Affairs Committee by House Minority Leader Nandy Pelosi. Vargas, who will be sworn in in January, was elected to fill the seat left by Bob Filner, who stepped down from Congress to run for Mayor. December 22, 2012 (Ramona)--The temperature was quickly dropping and the car thermometer read in the upper thirties as I talked to Janine outside her mobile home late last night She is a resident of the Ramona Terrace Estates, which lost propane yesterday due to a major leak. Janine, who did not provide her last name, is worried since they will not get gas power restored until Christmas Eve. It will be cold for the next few days, and among the residents is her father, who lives in one of the units that are "propane only," so right now he is using a space heater to keep warm. December 21, 2012 (Lemon Grove) – The Lagoon, Lemon Grove Community Church is holding it Christmas Eve Candlelight Service at 6 p.m. on the 24th. Enjoy a string quartet, candles, Christmas carols and free hot cider and cinnamon rolls. The church is located at 3122 Main Street in Lemon Grove. December 22, 2012 (Lakeside) – FUNbelievable Play of Lakeside won a 2012 Totally Awesome Award in the category of ‘Coolest Indoor Playspaces’. The contest was sponsored by “Red Tricycle” and had over 200,000 voters participating. December 22, 2012 (San Diego) – In the wake of the tragedy at Sandy Hook Elementary School much of the country is looking for ways to help. San Francisco-based www.Razoo.com has made it easy for Californians to donate money by creating a page dedicated solely to all the charities and nonprofits that are helping the victims and families in the community of Newtown, CT. http://www.razoo.com/p/connecticut-school-tragedy-page/ The page includes the Sandy Hook PTA and the Lutheran Church Charity Fund that is bringing its healing dogs to Newtown to help aid grieving families. December 22, 2012 – (San Diego) -- Members of the Viejas Band of Kumeyaay Indians have voted in a new Tribal Council, returning five of seven incumbents, including Chairman Anthony R. Pico. December 21, 2012 (La Mesa) - A man wearing a Santa cap entered the Murray Lake Liquor Store in La Mesa today not bearing gifts nor seeking holiday cheer. Instead, he pulled a gun and ordered the clerk to handover cash from the register at 3:15 p.m. today. According to witnesses, the suspect also wore a black jacket, shorts, and a black bandana. After stealing the cash, the man in the Santa cap departed the store at 5395 Lake Murray Boulevard not in a sleigh, but in a dark grey Mazda-6 heading north. December 21, 2012 (Ramona) – It’s going to be a chilly holiday season for 220 residents of the Ramona Terrace Estates mobilehome park, 1212 H Street in Ramona, where a large leak in a 30,000 gallon propane tank has forced shut-off of gas and heating. According to Cal Fire Captain Mike Mohler, the leak will impact residents for the next three to four days. An emergency shelter/assistance center has been set up at Olive Pierce Middle School, 1521 Hanson Lane in Ramona. December 21, 2012 (San Diego’s East County) – Congresswoman Susan Davis, La Mesa Mayor Art Madrid, and El Cajon Councilman Gary Kendrick were among the elected officials who joined in our “Feasting & Merrymaking” party over the weekend—and shared some special news for our community. Our guests also enjoyed live jazz by the amazing Chris Klich trio, fabulous food by chef Patrick Dean and the Grove Pastry Shop, wines from La Serenissima and San Pasqual wineries, plus an East County trivia game and prize drawings. December 20, 2012 (San Diego’s East County) – in a unanimous decision, the California Public Uitlities Commission (CPUC) denied San Diego Gas & Electric and Southern Califiornia Gas Company’s proposed Wildfire Expense Balancing Account (WEBA). SDG&E had sought to charge ratepayers for its uninsured liability costs for wildfires caused by the utility’s lines, both for future fires and the 2007 firestorms that ravaged San Diego County. Click here for the formal decision. December 21, 2012 (El Cajon)--Several high school teens spent Wednesday afternoon in a “sticky” situation as a part of MADD’s “Sticker Shock,” a public awareness campaign to limit youth access to alcohol and remind those over 21 that it is illegal to provide alcohol to minors. Working with local merchants, members of the East County Youth Coalition placed stickers that read, “Hey you!! It is ILLEGAL to provide alcohol for people under 21! !” on cases of beer at 7-Eleven, Town and Country Liquor and several other stores located near Second Street.